Mix jump rope with trampoling, this fitness cocktail will attract everyone from the age 7 to 77! 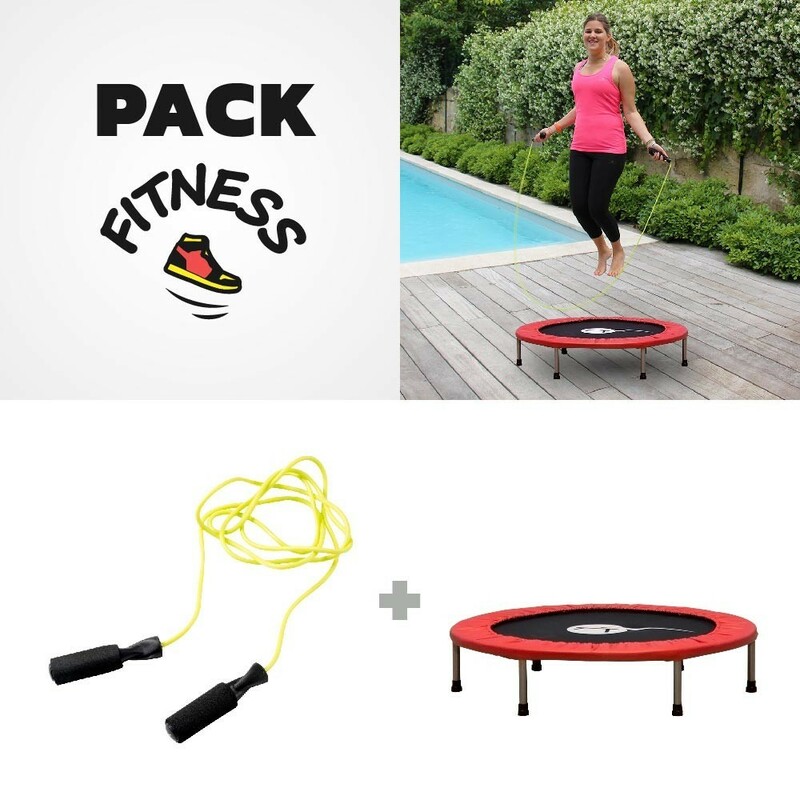 This small 102cm wide trampoline is ideal for fitness at home, and can withstand up to 60kG. - Its 36 88m springs will allow you to jump with dynamism. 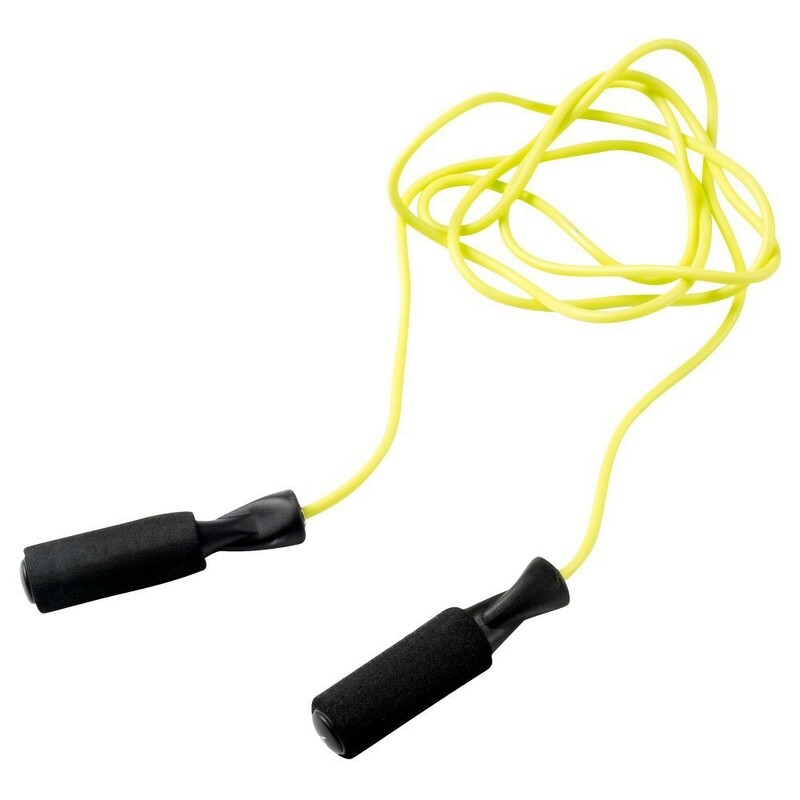 - Adding the adjustable jumping rope, you can vary your workouts, work on your balance and your muscles. - 20cm high, the frame is made from 25mm thick thermo-lacquered steel tubes. 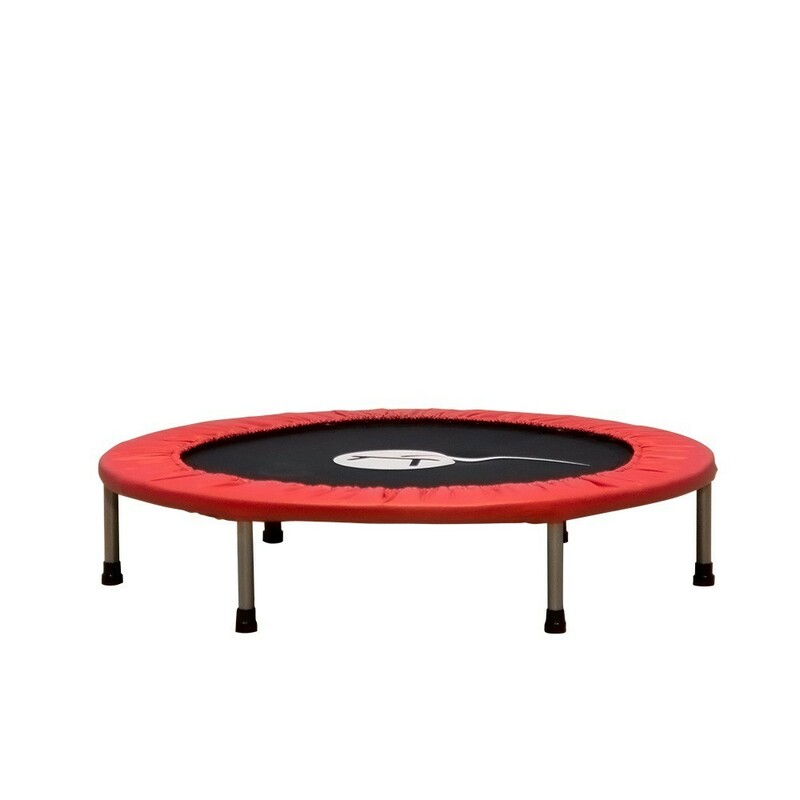 The trampoline's finishes are suitable for an indoor use, unlike our leisure trampolines it is not resistant to corrosion and is not intended for outdoor use. - The springs are covered with a reinforced red frame pad. The pad is 5mm thick and is attached with elastics straps perfectly holding the trampoline in place. It is 135mm wide and covers the entire spring area, protecting you from eventual injuries. - The jumping mat is made from high-resistant polypropylene with an anti-UV treatment.